Overall sales of individual annuities were flat in the first quarter, but don’t let the lull fool you. 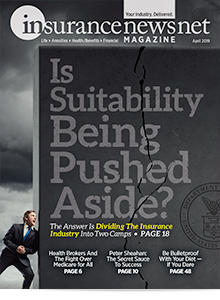 Behind the staid numbers, annuity companies are experimenting with product tweaks as they push to distribute through new channels in search of growth, which is likely to come from reaching down to the mass affluent and middle markets. The annuity industry is trying to find out where the market is, said Chris Eberly, Novarica vice president and co-author of a report on the trends in the life and annuity sector. First-quarter overall annuity sales were $52 billion, flat with the year-ago period, according to LIMRA Secure Retirement Institute. Sales fell last year compared to 2016, but forecasts call for rising sales this year as regulatory burdens lift and interest rates move upward. On the product side, the operative word is “flexibility” as companies respond to consumer demand to make products younger buyers want to buy, Eberly said. » Introduced shorter minimum income deferral periods. » Lowered initial premium payments and offered flexible contribution levels to make such annuities more attractive to younger consumers. » Injected more death benefit options and added more flexibility in the timing of payouts. » Offered access to more alternative asset classes in which advisors can invest. » Developed a host of new fee-based products to attract registered investment advisors. » Issued indexed-linked annuities with some protection against loss in exchange for the potential for higher credited gains. » Linked riders to annuities to help the chronically ill accelerate or raise immediate payouts. 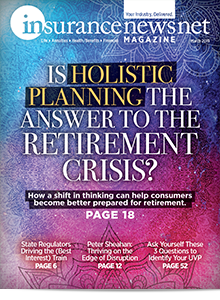 “The common theme of these is expanding the potential annuity owner and distribution channel bases,” wrote Eberly and report co-author Steven Kaye, Novarica associate vice president of research. 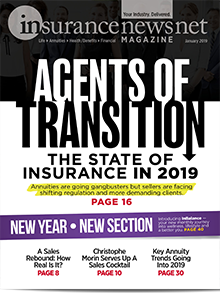 On the distribution front, annuity companies are moving further into online, bank and broker-dealer channels, Eberly and Kaye wrote. Progressive insurers want to improve the agent browsing, workflow and buying experiences over online channels to boost agent self-service functions that might have required email or a call center help desk in the past. » Upgrades to their online portals that agents use to manage customers, boost productivity, hunt for sales and marketing support, conduct needs analysis, and explore suitability. Big improvements have been implemented at Ohio National, CUNA Mutual, Lincoln, Great American, Mass Mutual and Bankers Life. » More communication through texting and social media in a bid to appeal to younger advisors and buyers. 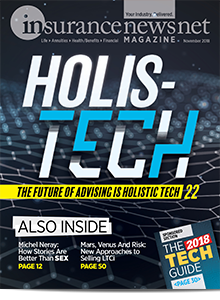 » Better educational materials to support the understanding of fee-only products as fee-only advisors, who have traditionally stayed away from annuities, enter the market and think about suitability issues down the road. » New annuities available through the direct-to-consumer channel. Nassau Re’s multiyear guaranteed annuity is available online, and Prudential this year launched its digital-only GIFT annuity, a voluntary deferred income annuity. » Linking the idea of an annuity with income and a personal pension, which Blueprint Income through its insurance company partners says can be funded with small monthly contributions. Meanwhile, fee-based VA sales were a bright spot in the annuity sales world. Sales of fee-based VAs, one of the industry’s best hopes for cracking the registered investment advisor channel, rose 70 percent to $780 million over the year-ago period, LIMRA SRI reported. Fee-based VAs have delivered steady growth over the past three quarters, although fee-based VA sales still make up only 3 percent of overall VA sales. Last year, fee-based VA sales were $660 million in the fourth quarter and $550 million in the third quarter, data show. In 2017, fee-based VA sales reached $2.2 billion, or 2.7 percent of all VA sales, LIMRA SRI said. Fee-based annuities do not pay a commission to agents and come with different surrender charges or none at all. 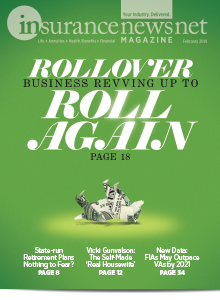 Overall VA sales are expected to improve this year over last year as companies raise crediting rates for guaranteed living benefits and loosen restrictions on investments, said Todd Giesing, annuity research director for LIMRA SRI. Overall, U.S. annuity sales were $51.8 billion, level with first-quarter 2017 results, LIMRA reported. Fee-based sales of indexed annuities were $60 million in the first quarter, or about 0.42 percent of all indexed annuity sales, Wink’s Market & Sales Report reported. The 0.42 percent share was unchanged from the fourth quarter, when Wink first began keeping track. 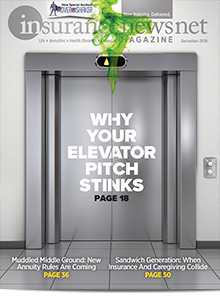 Last year, fee-based indexed sales were $57 million in the fourth quarter, $48 million in the third quarter, $23 million in the second quarter and $10.3 million in the first quarter, according to Wink. First-quarter 2018 indexed annuity sales rose 11 percent to $14.5 billion, compared with first quarter 2017, Wink said. Fee-based annuities have a long way to go before racking up significant sales compared to their commissionable cousins, analysts say. But advisors who have in the past been reticent to sell annuities because they cost too much and were difficult to explain have recently shown more interest now that more annuity compensation models come with fees as well as with commissions. In the long term, fee-based product growth holds promise, said industry consultant David Lau. Dually registered RIAs will be able to migrate away from broker-dealers for a fee-based annuity sale, he said. “We see that as a big movement,” said Lau, founder and CEO of DPL Financial Partners, which develops fee-based products for large insurers. Dually registered advisors and fee-based financial advisors manage as much as $4 trillion in assets, according to Tiburon Strategic Advisors. The other reason to be optimistic about fee-based annuities has to do with pricing changes and lower costs, long a pet peeve of advisors. Many fee-based annuities come with contract fees as low as 0.35 percent of the account value. The economic environment may be spurring RIAs to look more closely at annuities because bond yields are so low that there’s little point in moving retirement savings into bonds, Lau said. Indexed annuities, by contrast, offer more attractive returns. There were 10 indexed annuity companies offering fee-based indexed annuities at the end of the first quarter, Wink reported. The top fee-based indexed annuity sold in the first quarter was Allianz Life Retirement Foundation ADV Annuity.